Adults can be tricky. They lead busy lives, they have many responsibilities and distractions. They often have preconceived and firmly held ideas and many of their likes and dislikes are already set. I am no different. You put me in a learning situation and I have high expectations. If I am highly motivated in the subject matter I get frustrated at being given activities and having my learning “facilitated”. My time is important to me. If I spend an hour stretching and saying “wooo” and then another hour doing fun learning activities, I always leave grumbling about wasting my time. I don’t like it. Often the only thing I learnt was that I don’t like stretching and saying “wooo” with strangers. If it doesn’t significantly challenge my views or opinions or provide new understanding, then the learning opportunity would have been, for me, wasted. No matter what the activities were, how much I moved around, how much I shared or facilitated, how many times I role played or game played, if my brain didn’t form new synaptic relationships, anything I did “learn” wouldn’t necessarily be retained. It would be shallow learning. If I am anxious, or unmotivated, or learning something I know nothing about, I want to know more about the people around me. Am I unusual feeling so out of place? Am I the only one who knows nothing about this – will I look stupid? I am unlikely to participate in class, and if I am called upon to participate when I am not comfortable, I just might decide not to come next time. If I gain confidence and achieve small steps, I might start to participate. Doing activities that make the learning slow but deliberate will probably help increase my confidence – give my brain time to connect it all, commit it to memory, form or reinforce synaptic pathways. Techniques or technology that help me understand, engage, connect would all be helpful to helping my brain learn. It is important to know our learners’ needs. It is important that learners are told how they will be taught, and why that pedagogy is considered to be appropriate. It is important, that we are reflective and change pedagogy if we are not meeting the needs of our learners. Are we offering them value? And most of all, it is important that any teaching activity encourages active learning. One of the most commonly misunderstood aspects of teaching practice relates to the concept of active learning. 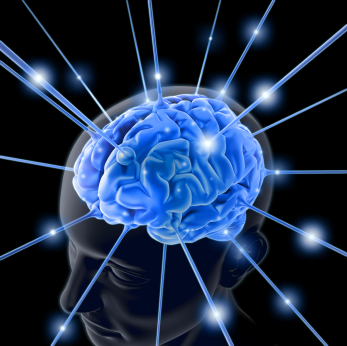 Strictly speaking it comes from theories that relate to how our brains work when we learn new skills or knowledge. Successful learning generally involves creating new synaptic pathways in our brain and committing that ‘knowledge’ to memory. What this means is that in order to help learners learn, techniques that encourage active thought processes (thinking) appear to be the most successful. Techniques that do not challenge thinking tend to not create new connections in the brain. In the first scenario above, you could say that I was not engaged. The learning activities might have been “active” but they weren’t initiating active learning in me. In that scenario where I was highly motivated and came equipped with prior knowledge and had the skills required to learn in intense periods of time – active for me, might have been a lecture. Just thought provoking discussion, thought provoking explanations, thought provoking evidence. Cognitively, very active, for me, under those circumstances. In the second scenario, the exact same teaching methods I just dismissed as not being active, given the circumstances of being an anxious, unfamiliar learner, would have engaged me – they would have been cognitively active. Helped me engage, helped me participate, helped me think. The biggest misconception about active learning is that the focus is on the activity – that the learner needs to “do” something physical – leave their seat, participate in an activity that requires talking, doing, negotiating or using the body or other senses. Being lectured to is commonly thought of as a passive teaching technique, and by Jove – it certainly can be. But it really depends on the learner and how it is done. It depends on the learner’s motivation, on their commitment, on their own ability to learn, and their reason for learning. It depends on the teachers methods of engagement do not just stand and deliver – challenge, discuss, interpret, engage, stimulate, encourage, debate! Active learning can happen using any technique that makes the student think. The focus needs to be on the needs of the learner – not on the activity. Makes you think doesn’t it. This entry was posted on October 5, 2011 at 10:19 am and is filed under Article. You can follow any responses to this entry through the RSS 2.0 feed. You can leave a response, or trackback from your own site.